Just a little reminder for all of you out there that we are rapidly approaching Shark Week 2012. I will unfortunately still be out of the country, so I'm counting on the fans to catch me up on "Air Jaws" and "I Survived" episodes when I return to NYC. You can follow the "Unofficial Official Countdown" here. Forgive me for not posting these real-time on Wednesday...turns out the iPad is useless for real blogging. 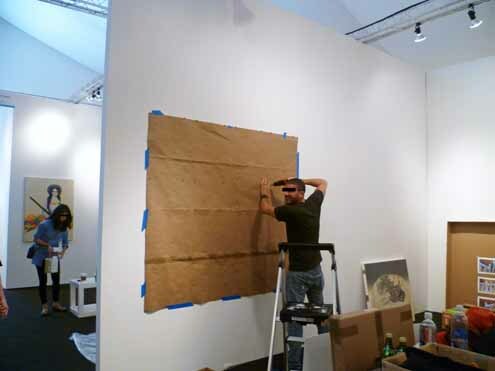 Here are some shots of Steven and Sonya preparing our booth for PULSE LA this past weekend. Look at how high the walls were! We would have been lost without Rob's grid template. Sonya is installing her Skillman Street Fence. We decided to move the awning. 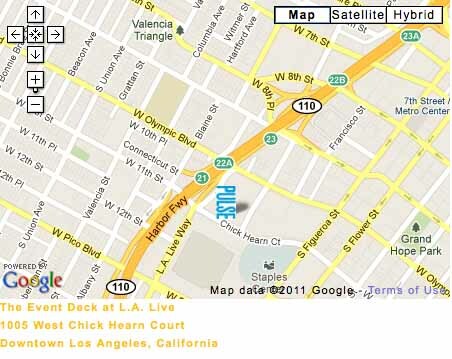 We're gearing up for the PULSE Los Angeles Art Fair, September 30-October 3, at the Event Deck at LA Live. Find Mixed Greens in booth B-10, presenting Stas Orlovski and Sonya Blesofsky (and there are a few Mulroney's to share as well!) Be sure to swing by! Did I read that correctly??!!? Facebook hosts 4% of ALL THE PHOTOS EVER TAKEN. Whaa?? 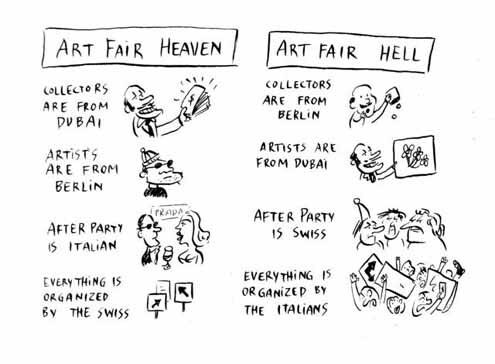 Above: Pablo Helguera's cartoon at ArtWorld Salon pretty much sums up my feelings about the upcoming Art Fair season. If you're in Los Angeles, be sure to check out the Mixed Greens booth at the PULSE LA Fair, September 30th - October 3rd at the Event Deck at LA Live. The American Folk Art Museum has been saved. And it didn't even have to (gasp) deaccession anything. In shark news, Bondi Road won't be serving any. Interesting reading over at Modern Art Notes (MAN) today. NYMag posted this little gem of a video. For me, the jury is still out on whether or not Franco's character "Franco" is simply a fun side-job for him, or if it is some kind of extended performance piece. 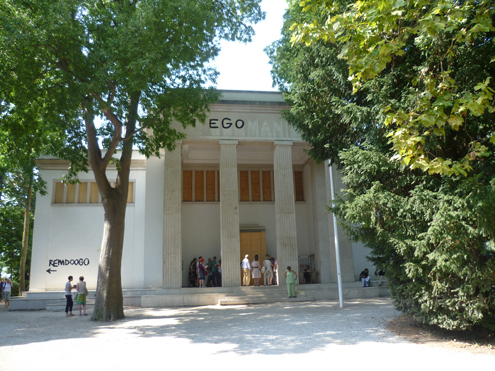 Only other whispering performance art that comes to mind is Tino Sehgal. And that's pretty legit. "Piazza Gratissima" by BroLab: a group of five to six individual artists who, as a collaborative, focus on site specific public interventions that activate communities. 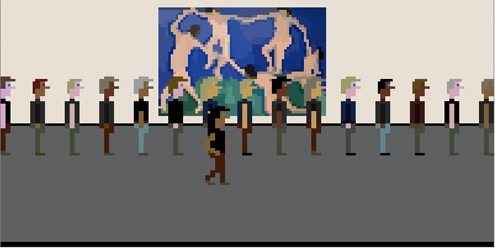 Artist Pippin Barr has created a hilariously frustrating website/game--an interactive "visit" to Marina Abramovic's The Artist Is Present, within a virtual version of MoMA. Play the game here! 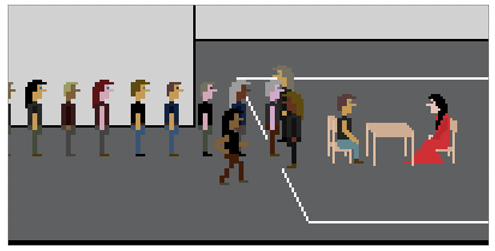 As Pippin states on his website, "Are games art?! This one definitely is!" I couldn't agree more. It's only 11:39am and the line is pretty long already. I tried to cross over the line and the guards totally yelled at me. I'm currently at the end of the line. I plan to wait all day if I have to. SHOUT OUT to Artinfo.com for bringing this to my attention today. Lovely building. Amusing installation. Loved the sound bites near the front door. Gotta love the Dutch. 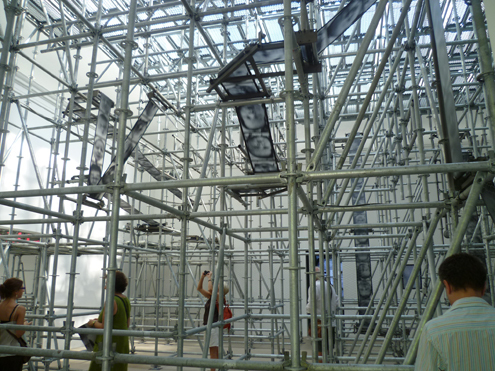 The French pavilion is a labyrinth of metal scaffolding with a whirring film strip flying around the structure. A buzzer sounds off, the film strip stops, and an individual baby's portrait shows up on a screen. The pamphlet explained the rather optimistic tone of the work--that this one child, by total chance, has been chosen to have a certain type of life...a good life. The pavilion's main building has been turned into a church sanctuary. Large video screens and speakers hang above an altar. You sit in the church pews watching old home movies of a child playing on the beach. I sat in the sweaty darkness and listened to a voice describe how he received a diagnosis of lung cancer. His doctor told him that he was "walking on different ground", now. Heavy, heavy, heavy. The most emotional of them all. I liked the pavilion's layout and airy quality more than anything. 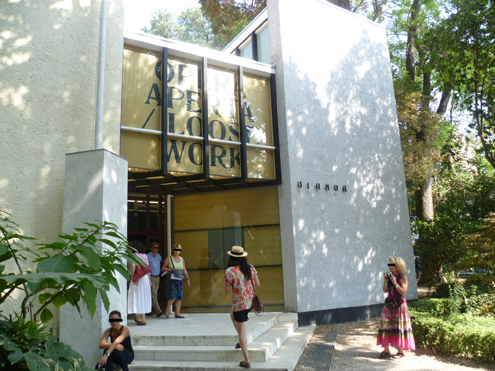 And I loved that the tiny bronze sculptures were casts of birds that had died crashing into the artist's studio window. 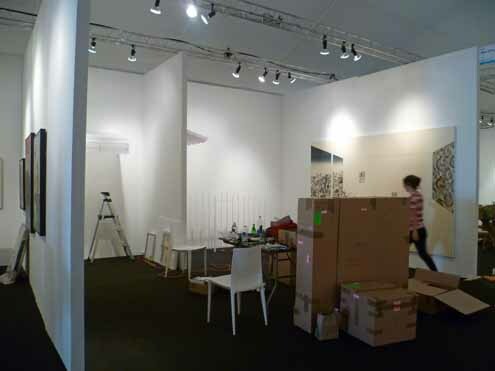 I imagine the artist's studio to look a lot like the pavilion itself. This was by far my FAVORITE work. It was enveloping (as you can see by the video above). I was no longer in the British Pavilion--I was in a bombed out shelter of some sort...a forgotten apartment that perhaps housed fugitives or victims of war. It was sensory overload. 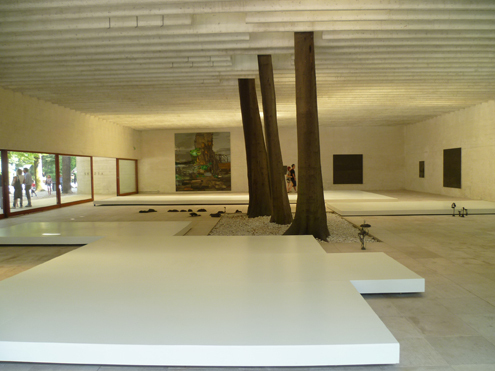 Read the Telegraph's take on the installation/"intervention" here. 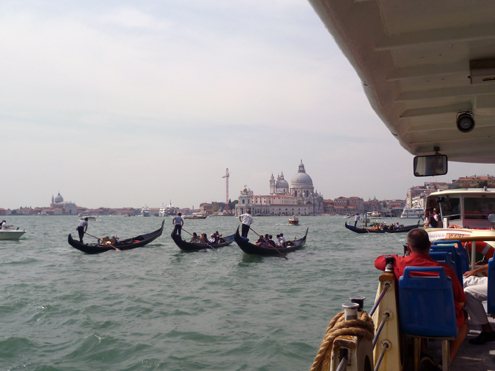 That about wraps it up for my Venice rundown. Until next time--a presto! 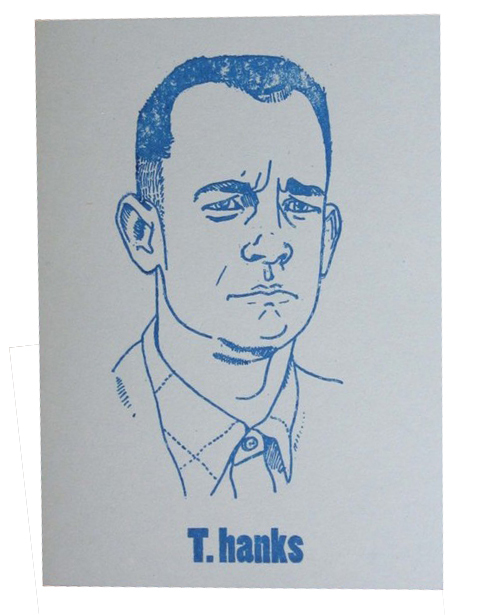 Just got the coolest "thank you" card ever. We all laughed out loud in the office. Amazing. It's by Paper Tiger Cards @ Etsy You can buy it here. "Taylor allegedly sold the collector more than 100 paintings -- including works that he falsely claimed were by artists such as Claude Monet, Vincent van Gogh, Jackson Pollock and Mark Rothko -- for a total of more than $2 million..." Read the full article at the LATimes here. More than 100 works...with at least 1 painting by the Impressionist Master himself, and at least 3 paintings by Modern Masters, and we're only talking about $2 million? 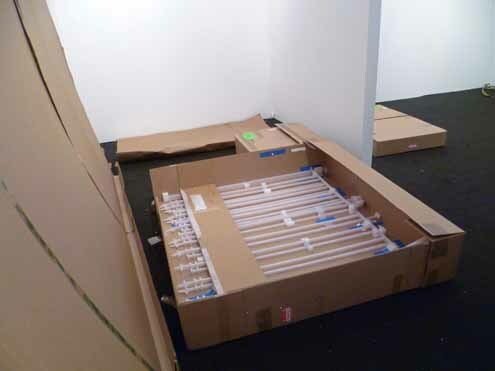 This reminds me vaguely of the "Rembrandt" Hotel Heist...where the Rembrandt was claimed to be worth (a mere) $250,000. The authenticity (and provenance) of that work are now being closely reconsidered. Buyer Beware: if the deal seems too good to be true, it probably is. Interested in / studying art or art history / gallery management / arts administration? 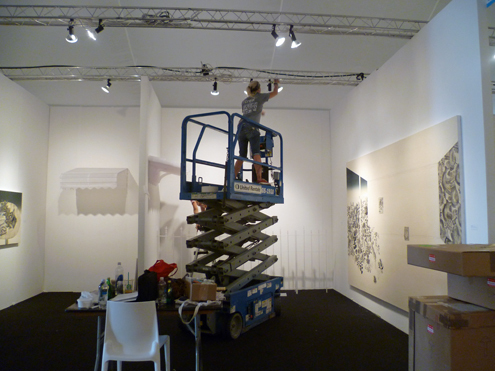 Willing to learn about all aspects of artist representation and exhibition management? We are looking for interns for this fall semester. Start date: Now. Email courtney [at] mixedgreens.com with your resume and cover letter to apply. 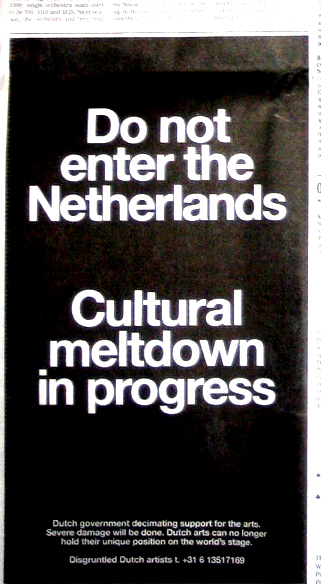 Artinfo.com reports on the Dutch "march for civilization" (response to government cuts in arts funding) and the ad placed by artists in the NYTimes. In case you wondered what that new sculpture (the elephant?) is that has recently appeared in Union Square, you are not alone. The Art Newspaper answers all of your questions here. The Moving Image Fair has announced its list of exhibitors over at Winkleman Blog. 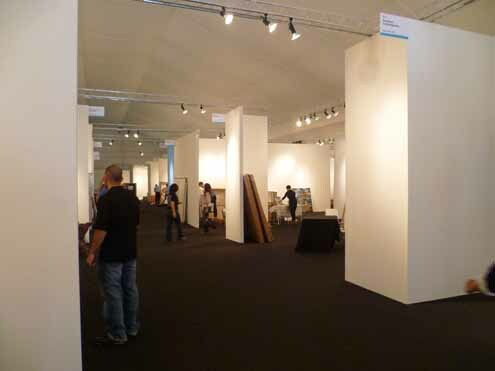 Lindsay Pollock's Art Market Views has not been updated since July 25th...I believe my suspicions about its demise may unfortunately be true. I'm sure AiA is keeping her very busy. And Michaele Salahi was not kidnapped. Great video from Exposito/Functional Shift opening! SHOUT OUT to ODelle Abney for once again capturing some great walk-thru footage of our most recent opening! 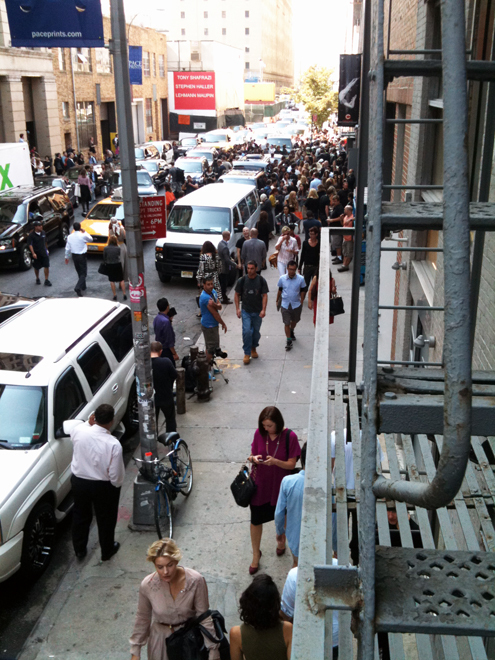 The scene on Monday afternoon as everyone poured out of the Donna Karan fashion show and down our street. Simply too many sets of eyes to black bar. 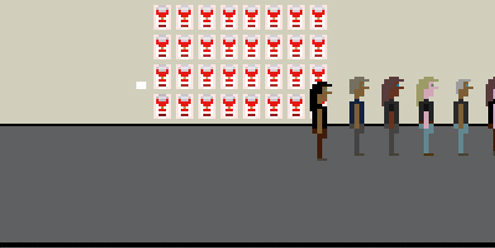 A little bit of fashion in the center of the art world.